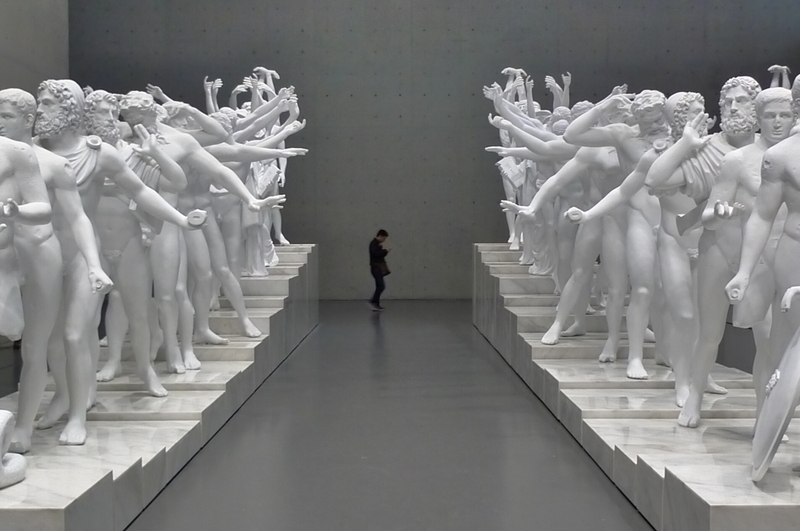 Xu Zhen is a leader within the domain of contemporary Chinese art and is said to be one of the most sought-after international contemporary artists. 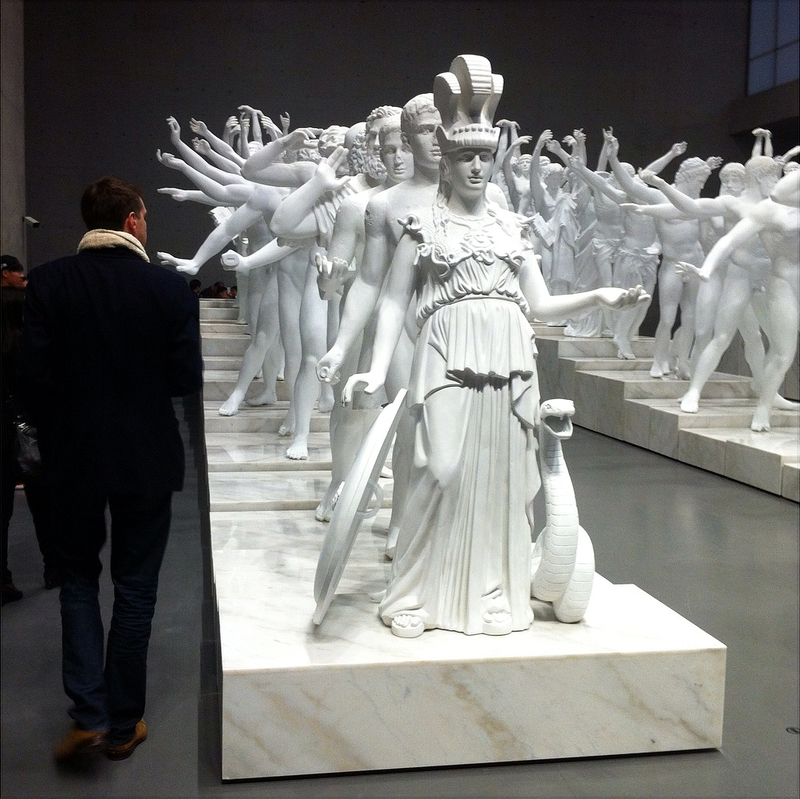 Xu Zhen uses inspiration from both Chinese and Western cultures while combining the embodiment of both. He uses sociocultural frameworks as an inspiration for his pieces as an attempt to target and what many would argue decrease ignorance surrounding “foreign” cultures. 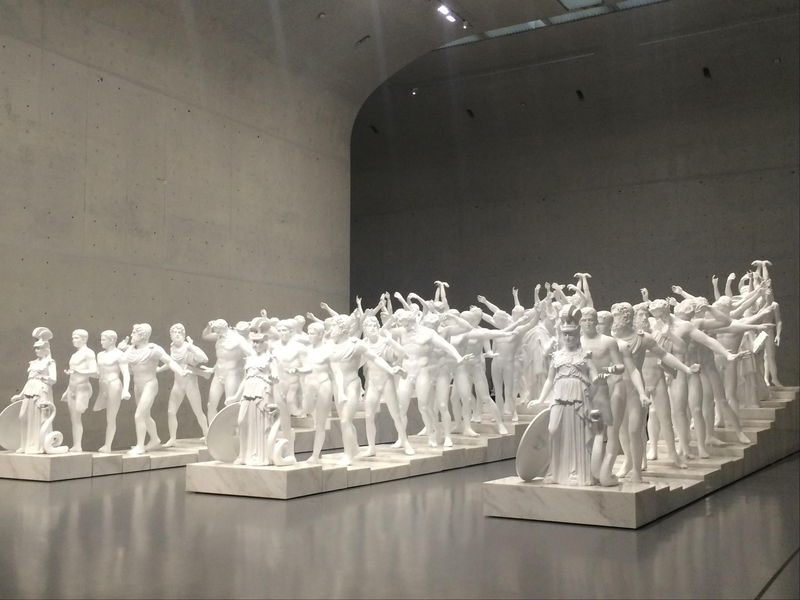 Xu Zhen occupies an artistic practice that uses numerous mediums, including painting, sculpture, installation, video, photography and performance. 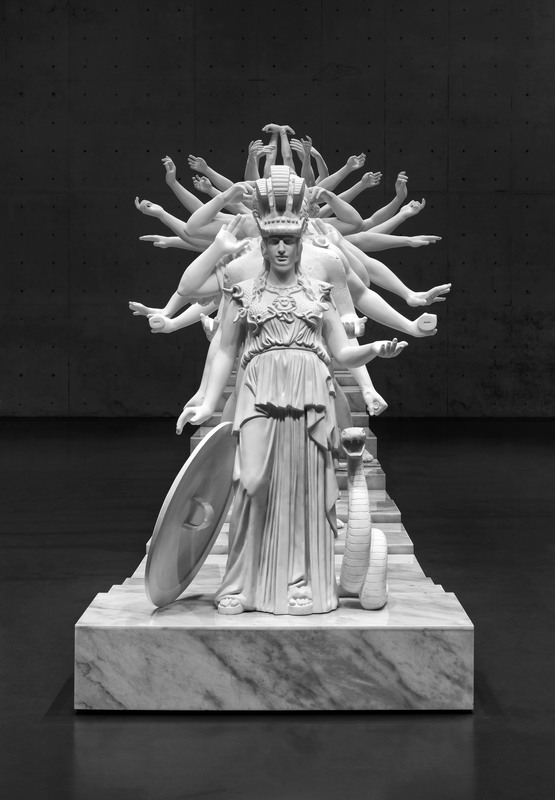 His creation European Thousand-Hand Classical Sculpture combines 19 distinctive Western classical sculptures of numerous forms; deriving from the shape of the Thousand-Hand Guanyin, also known as Bodhisattva1, in Buddhist iconography. 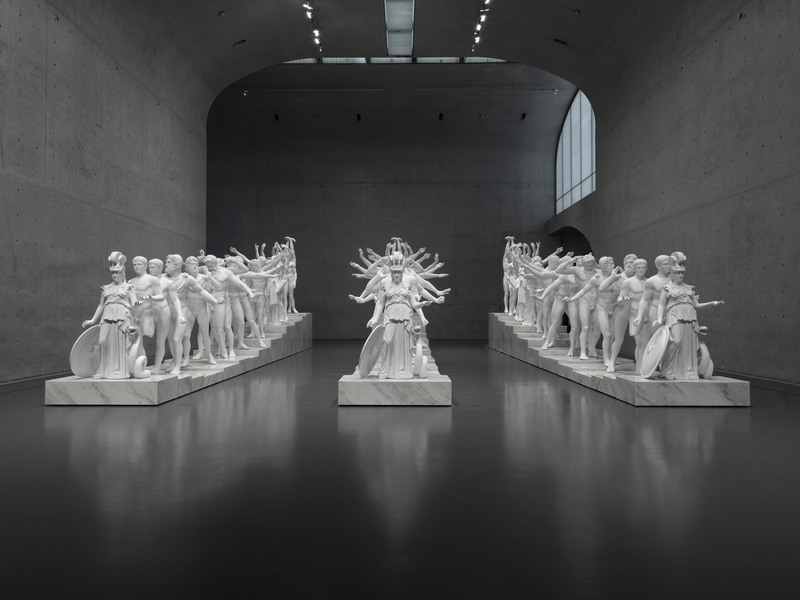 Thus Xu Zhen’s work deals with a sense of form and spirituality. This piece combines the serene Buddhist statues of the East together with the exquisite western style of Greek statues2, mediating spans of space and time referencing a very long time of scale of art history. 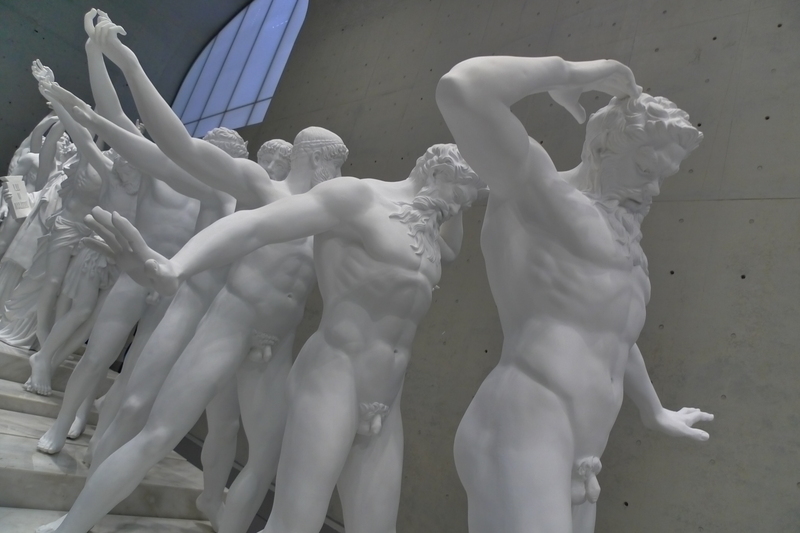 Xu Zhen’s extensive body of work evokes instances of complexity. Through his artwork, he demonstrates his personal curiosity about the differences between cultures and the alienation between them, while also thinking of misconceptions can be a place that introduces awareness and understanding. He uses his artwork to increase the understanding between different cultures. This artwork is a place of navigation, a place of mediation, a place of understanding. Through creating discussions and a place in which these discussions can be instigated, Xu Zhen tries to bring cultural awareness and relativism to the world of art in addition to the social sphere. By creating a stimulating site for these discussions in addition to a safe place to house them (such as an exhibit) misconceptions can be corrected and a new level of cultural understanding is formed. All images by Xu Zhen/madeingallery.com unless otherwise noted. 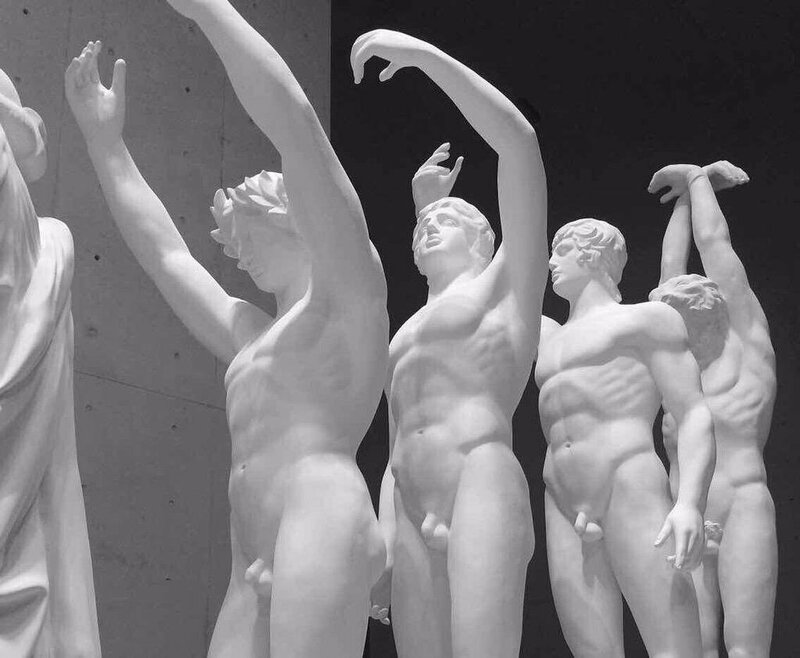 Posted on December 23, 2015	in the category Sculpture and tagged 2015, Art in Asia and by Asian artists, Art in China and by Chinese artists, Art in Shanghai, Bodhisattva, Classical sculpture, exhibition, Long Museum, museum, sculptures, Xu Zhen.